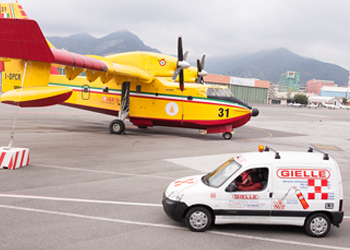 Gielle provides maintenance, repair and overhaul (MRO) for an extensive range of equipment, including manual and automatic fire extinguishers, cylinders, regulators and oxygen masks for crews and passengers, and pressurised safety system reservoirs (landing gear, escape slides and doors). Gielle also undertakes the cleaning, decontamination and retesting of aeronautical tubing. Gielle provides maintenance, repair and overhaul for aircraft fire extinguishers and oxygen equipment across a broad spectrum of manufacturers. These include Adams Rite, Aerospace-Sabre, Afnor, Air Cruisers, Air Liquide, Amerex, Ansul, Aro, Beaufort, Bf Goodrich, Bronzavia, Cameron Balloons, Carleton, Cessna, Chubb Fire, Compressed Gas Association, Draeger, Eastern Aero Marine, Eros-Intertechnique, Eros-Intertechnique Bis, First Technology and Flag Fire Equipment. No matter where you are, from New York to Dubai, we perform whatever service is necessary, including installation, retrofit, recharge, maintenance and emergency repair. We work in airports, at sea or in the yards. Our high level of service is another part of our global commitment to keeping your Gielle systems functioning perfectly and in accordance with applicable aviation fire protection regulations. The comprehensive Gielle extinguishing portfolio of for room and object protection comprises solutions with natural or chemical extinguishing agents, gas/water-combined as well as water mist solutions. To optimally ensure the continuity of your business processes, the solutions are tailored to your specific applications, risks of fire as well as local requirements and regulations. In addition, they include a comprehensive service offering – from risk assessment, system design, installation, and commissioning to maintenance. A major fire, with its devastating effects, could be the end of your business. Lives can be placed at risk, property can be destroyed and often a business may not fully recover. This is where Gielle can help. For 120 years, Gielle has been protecting people and property with our comprehensive range of total fire protection systems. 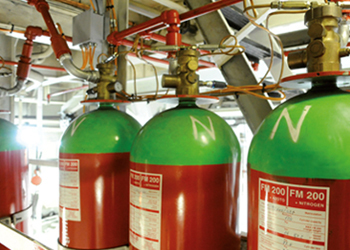 Gielle are experts at tailoring fire protection solutions to meet a wide range of requirements. 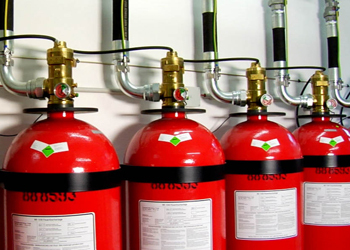 Gielle offers one of the largest selections of quality fire extinguishers. Our products are of the highest quality and offer a wide range of approvals including CE Mark and many more. Gielle provide a comprehensive range of high quality, cost-effective fire extinguishers, hose reels, stands and cabinets that are designed and produced to the latest Fire Authority standards.